-Mount Orion dungeon is complete. The revolution has ended. The bodies of slain soldiers have been gathered from the locations of their deaths and entombed in the continent's massive graveyards. Tradesmen from near and far pull together to erect and repair structures brought down or destroyed during the chaos. Civil negotiations have returned between the nation's leaders. A new emperor, the political orchestrator of the revolution and the peace that followed has returned stability, trade and unity to the people. And then, as if rendered by a vengeful god, the emperor falls ill. Waiting in the wings, his most loyal and decorated admiral, transfers uneasily into the role the beloved emperor will presumably soon vacate. As the tides of political change rise, so too does the beat of a divine, unpleasant heart. Since the Revolution, the lone-continent world has been called the 'Gray World'. The contient is vast, with the two largest mountain ranges running along the northern border and the longest river splitting the land in two. There are 17 nations and 12 cities, with small villages strewn between them. The waistline of the continent is made up of meadows and rolling hills. In the northeast, where the desert touches the tundra, strong storms sweep south over the rich farmland and across the strait to the continents large, solitary island. The largest city is Coppleton, birthplace of the emperor. The Palace of Van sits, encompassed by jagged cliffs on the southern shores. The highest peak, the volcano, Orion, stands in the heart of Nor nation, and spills itself south through the valleys. While in the far northeast, a yet unexplored region of icy-wasteland known as the Smimes, casts knife-like shadows over the remote village of Varlens. The Gray are the ruling race of Netherquest. They were once ignored by political powers, but rose, under the command of a young politician, and thwarted oppression in the bloodiest battle the world has ever seen. The ruling faction of their people is known as 'The Gray Regime', or just 'The Regime'. Gray fighters are advanced in combat and mighty in tactics. Gray commoners are scholarly, artistic and festive. Fole people were once the rulers of the world. They hail from the northwest mountains and are adept at bartering, skilled at fishing and trapping, and revered for their inventions. If were not for a natural disaster and the calamity of their twisted king's response, the Fole might still hold dominion over all. 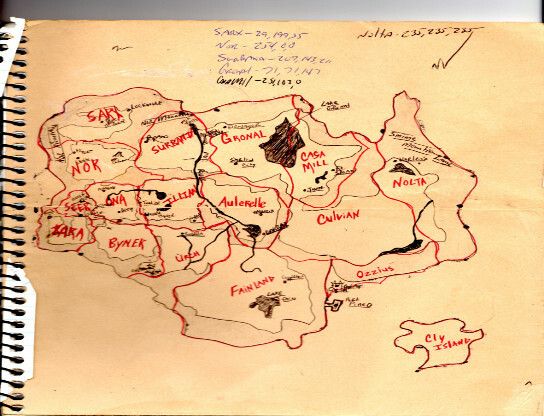 The vast majority of Vanian people, and especially those who reside in the southern expanse of continent, are nobles. Since the death of their long-standing King, they have been ruled by the queen and guarded by the entirely-female Southland Army. Vanians are often called 'Southlanders' and are gifted builders. Supheus was a young politician who rose to power at the brink of revolution. It was his determination and dedication which propelled the down-trodden to fight and then his empathy which rekindled the warm coals of peace, culminating in his claiming the throne as emperor. Lassian was the emperor's greatest soldier. He made his name by guiding the Gray military through the northwest mountains to capture and kill the unjust Fole King. Lassian prepares to take the throne of the emperor and continue with the only course of action he understands---conquering the world through force. Agmi is the last Fole politician. A just and humble man from a small rural town in the north. Agmi seeks only to restore Fole territory through peace and negotiation. Agmi was never in combat, but news of his wise speeches helped quell the remnants of Fole resistance following the Revolution. Rethrick is the reclusive cleric from the northern tip of the world's longest river. He is a healer unlike any other and keeps an eye to the sky and an ear tuned to the thunder which crashes through the heavens. He is waiting for something or someone, and knows he is part of the fulfillment of the divine promise. Ixesperus is the Vanian princess who mourns war and forsakes even her lineage to the vengeful love which pulses in her veins. Dufuta is perhaps a myth, maybe a mystery, and most certainly a legend. A mage raised by golems in the forbidden northern caverns. Neru is the brave, young Gray adventurer who was a hero to the world's children, until his disappearance in the tundra, brought tears from admirerers across the continent and initialized the search for the world's most powerful artifact. 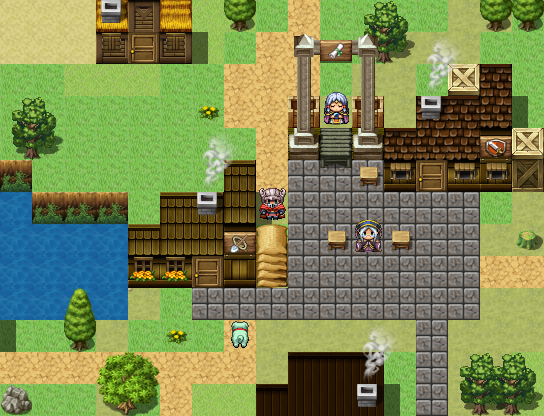 Netherquest is an open-world RPG (after the first two towns) with a custom, tactical, turn-based battle system. NQ features actor-individual inventory, gold, and leveling. 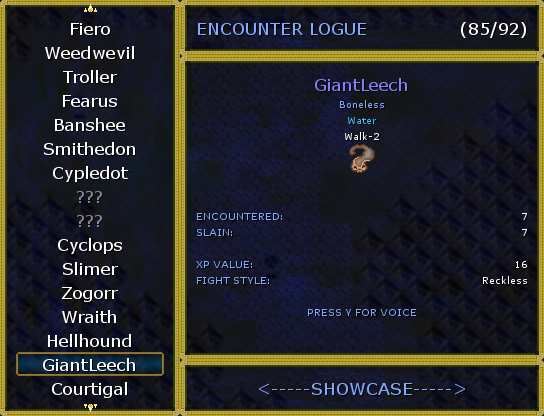 Instead of unlocking entries to a journal or quest-log, Netherquest's complex dialogue system tracks keywords and subjects, but allows the player to only record that which he or she finds relevant or important. 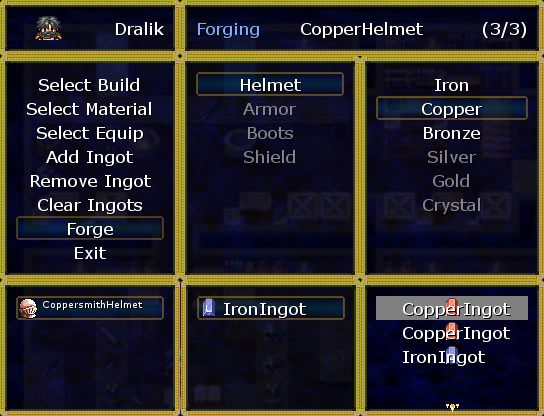 Netherquest's open-class-equipment system is deep, allowing the player to customize their character with any and all armor and weapon types, based on the actor's 'Dexterity' parameter. NQ is not a game for someone who needs to be led along the path with both hands, nor a game for individuals who want to rush to the ending. 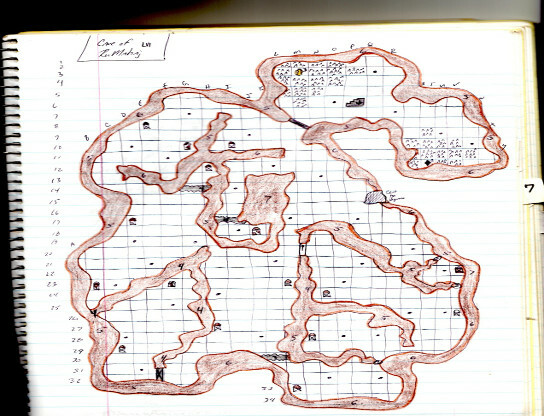 Netherquest has a slow, but methodical pace, with a vast amount of randomized treasures, secret rooms, hazards and traps. Learning the ropes in Netherquest will take some time, but for every obstacle way to overcome it. Information is the key. Unto the most-courageous, relentless player. . .the world is theirs. Q: How do I sprint? A: You sprint by holding the action button. Also, holding the action button, (SpaceBar, Enter) will speed through slowly scrolling texts. Q: How do I see my character's status in battle? 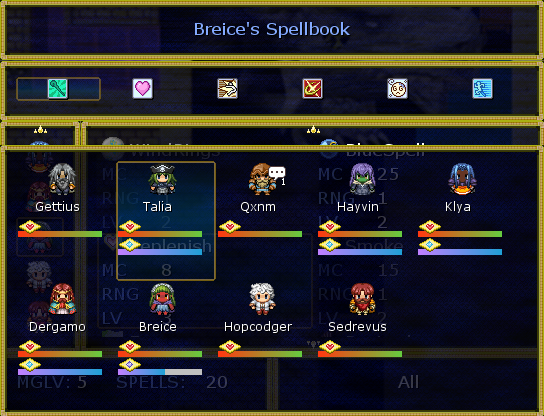 A: You can see the status of allies and enemies in battle by pressing the 'S' button. As a matter of fact, pressing S in many menu systems will be of assistance. 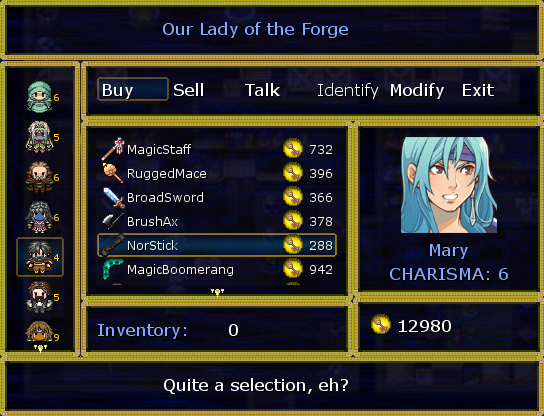 For instance, you can preview shop items by pressing 'S' and also, you can view the character's equipment in shops by pressing 'S'. Q: Why can't I equip such and such weapon or armor? 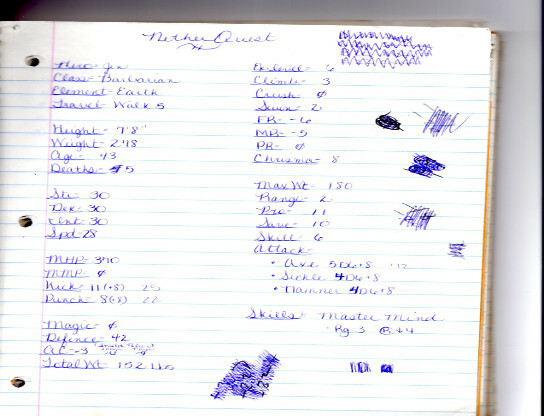 A: Equipment in the tabletop version of NQ was based on all the character's parameters. But for the video game, I made it so that the ability to equip a piece of armor or weapon is based solely on 'DEX'. You can see in the shop if your character can equip the item by pressing 'S' on the item. There, you will see 'REQ DEX:'. Next to that is the amount of DEX required to equip it, and in parentheses, the amount of the DEX the character has! Q: Why do I keep missing and failing in battle? A: Missing and failing comes from two parameters. When you mount an attack against a foe, the chance to hit the target is based on 'Proficienty' or 'PRF'. While, when you are attempting to perform a skill, it's based on 'Skill' or 'SKL'. Q: Why won't people give me stuff? 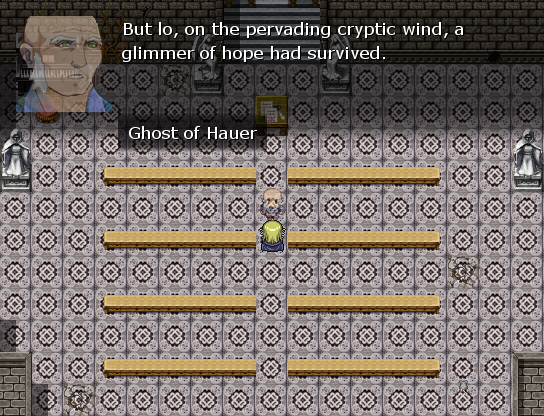 A: In Netherquest, there are many factors that go into getting the NPCs to give you things. 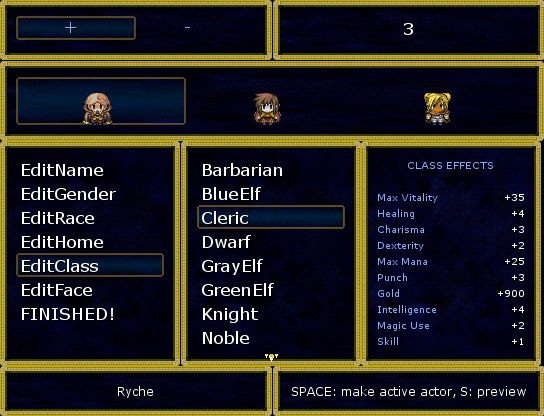 These are based on your 'speaking character's' parameters, hometown, class, race, gender, or some switch or variable. That means that it is a GREAT idea to talk to the same person with different actors, as they all have different parameters. Q: How far can I go right now? A: About 90 hours. You can live out about 100 Netherquest days. Q: Will Netherquest be commercial? A: Not on your life! I can't afford to pay all the people whose assets and resources have been used. Also, I'd rather a hundred people play it for free, than 2 for a few bucks. One of the most crucial things to fighting in NQ is to have high Proficiency and high Skill. (PRF and SKL). For this reason, when you go to level up your characters for the first time, consider blasting all the points on these two parameters. PRF is maxed at 11 and SKL at 6. Talk to NPCs with different characters. You can alter the 'speaker' before you initiate conversation with the SHIFT key. Change characters often (SHIFT KEY). If you can't open the door, change to a thief with Lockpick skill. If you can't climb a mountain, change to a character with higher 'CLB' (climb), etc. Also, changing characters will allow you to distribute the weight of things you find more easily. If you don't like the look of things, try changing the windowskin from the options in the menu system. You can always pray. No! Seriously. EVERY actor has the 'Pray' skill. If you are in a tagged location, meaning chances of being trapped there are possible, then praying can get you out of it. . .but it will cost you of course! Don't skimp on Mana Potions! You'll need them if you want to quickly dispose of enemies! Have non-magic-users carry some extras in case your wizard runs out! For thieves, keep some coin around, as their skills cost gold. And for clerics, their battle maneuvers cost vitality! Save often and use multiple slots! A good idea is to save after each battle. Use the 'Atlas' to return to places you've visited if you get in trouble. For now this will work, but later, not so much. Consult your information page. You can read not only about the history of Netherquest, but you can read a lot about what does what and what-parameter means what there. If all else fails, find 'ixfuru'. I don't mind you asking. I love NQ and will be happy to help you with anything you need. WEATHER: The weather system is pretty random in Netherquest, and when you leave a building, you can hear the rain for a split second, then it cuts out. The worst one I can think of involves the shapeshifting system. This is a lot of the reason that we haven't implemented the Obscure character class that is solely based on being a changeling. During the battle scene, if you suffer a state called 'Blood to Stone', there is a high risk of game crash when the actor attempts to change back to normal form. To avoid this, Escape from battles with Gorgons and don't use the spell yourself. This is my pride and joy. 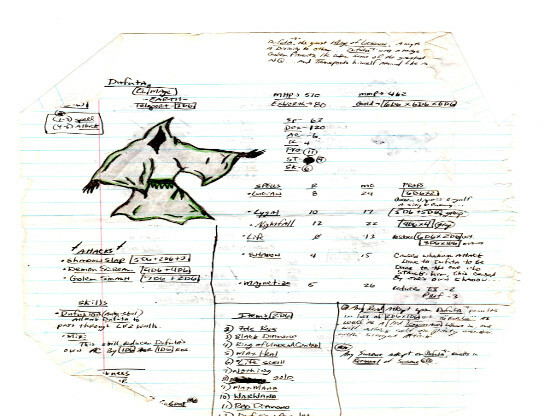 . .
Netherquest started as a paper and dice table-top game, created by me and a friend of mine just to kill time. That was back in 2001. . .
At one point, Netherquest had quite the community following. There were times when we'd have games with 10 or 20 people, sitting around a table, listening to folk music and rolling dice. 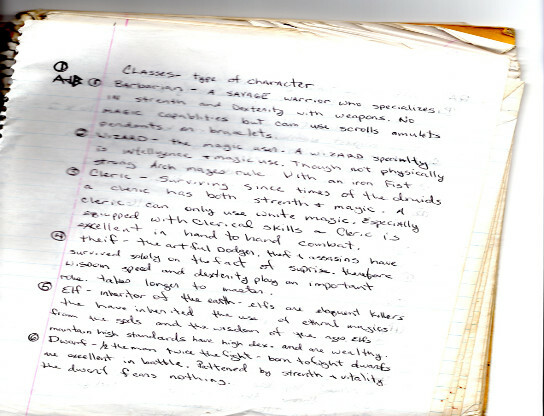 But sadly, we moved from the area, and the game, (all 15 notebooks of it) was placed into a giant plastic box and shoved into the back of our new home's closet. 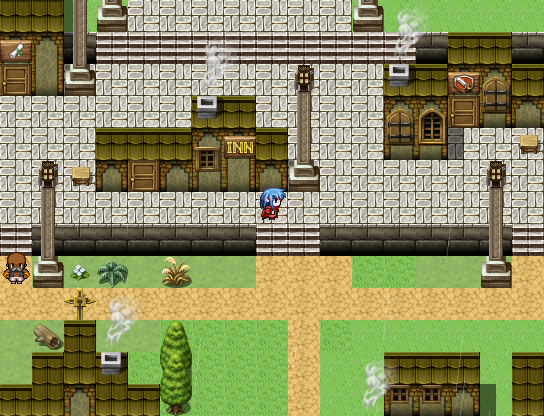 Well, when I found RpgMaker, the first thing I wanted to do was drag out the old NQ stuff and turn it into the video game I had always imagined. So, I started. And I struggled. I had the vision, but I didn't have the ability to do it. So I quit. I started new projects, even completed a full-evented one, but Netherquest kept drawing me back. 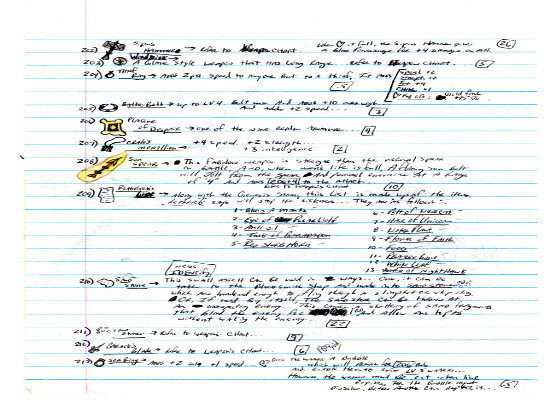 When I learned about how scripts work, I started looking around to find scripts that would aid in my endeavor. But, here again, while some came close to being what I needed, I found that asking for help was often fruitless and I gave up several more times in the process. At that point, I knew I had to learn some Ruby Programming. So, over the next few years, I taught myself from on-line tutorials and by studying other people's scripts. Then, sometime in 2013, I started NQ again. And finally, it started to come together. 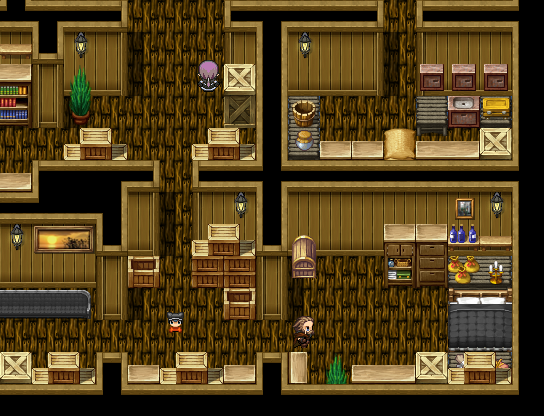 So, what you see here is the culmination of long hours making RPGMakerVX do things it was not intended to do. Years of a vision, brought to life a decade later. What is this game about? You know, I don't mean what's its history or story or plot, I would like to know what is the main focus of the game, the initial heroes' goals, whether or not this game is about battles or puzzles or if it is a thriller or a survival. What can you tell us about what I mentioned here? You are right, kyonides. I forgot the most important part, didn't I. Will add it now. Thanks for pointing that out. You've really got a talent for coming up with with unique names. I'll admit my guilt as I usually read just a small portion of written story and skip straight to screenshots, but in all actuality, you come off as an excellent writer. Thank you, Kain_Nobel. Let me know what you think. I have the feeling this game is about exploring, going on adventures but I still think there's some need for more conflicts, dilemmas, difficult choices to make instead of just having too many things to test or to taste. 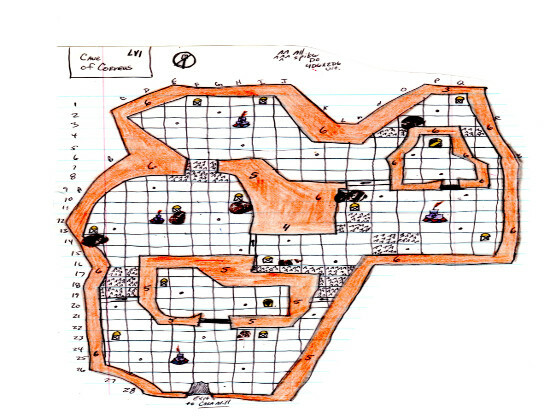 Perhaps you're are trying to avoid that kind of plots on purpose due to the nature of your game. Anyway it's just one of probably several impressions to come and I admit I haven't played it as of today but I wondered if there are such options or events or plot twists included in your game. Hmmm. Well, kyonides, I appreciate you taking interest in the game enough to check it out and formulate an opinion. Also, I respect your opinion. I may not completely understand what you are saying. In my eyes, there are plot twists and such. I just feel that often too much information is like the bad movie trailer commercial that spouts out all the good parts and ultimately lets the viewer down when they shell out the cash at the theater see it. So I would say, yes, for those looking a story, twists and turns, they're there. At least in my opinion. I think the difference between NQ and some games is that it's not restrictive. It does not force you into the role of a specific character or characters. You can start with a party of two, or a party of eight. You can start with six wizards or three knights. The story is based on historical events and not just the individual life of the hero. The good part is that the player is tasked with fulfilling prophecy and collecting things (as is the case in a lot of RPGs), yet they are not instructed to do it in a particular way. There's no 'order'. 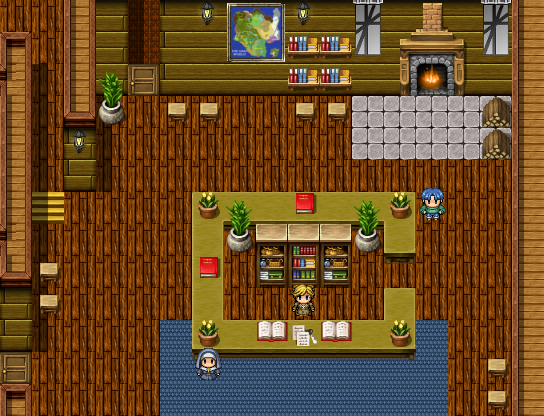 The outlying story evolves and is revealed as the player finishes parts of the main quest, whenever (or in some instances, wherever) such events occur. 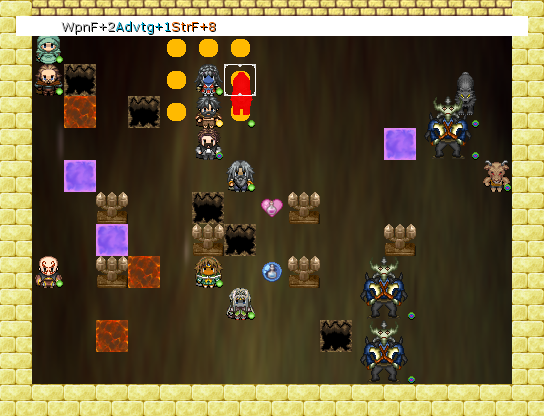 Another thing that I focused on when creating Netherquest is providing real-time cut-scenes apart from the party. These cut-scenes give the actual player a glimpse into the world's most interesting and famous figures and thus makes the moment when you 'meet' those people, that much more rewarding. Anyway, kyonides. This game will not be for everyone. 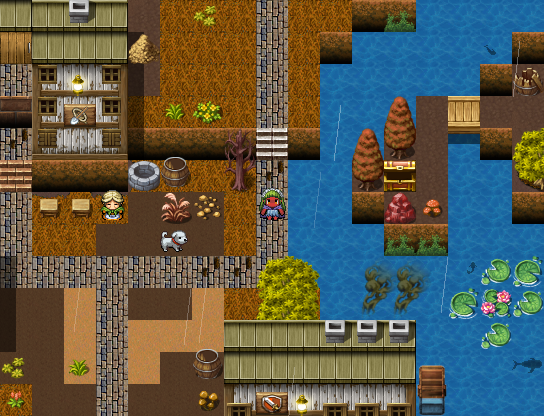 Like I allude to in the post, if you're looking for a traditional RPG with a pre-set path and actors whose stories are detailed and already written, then Netherquest may not be for you. And that's okay. I realize people are looking for different things. For instance, I can't stand first-person shooters and my eldest son loves them. I don't like those match-em-up games like 'Candy Crush' and such. But my wife adores them. I believe part of the reason we thought we could make our own little company is that we all have different game genre favorites and therefor approach making games with completely different eyes. Again, I thank you for your honesty and your critique, I don't want to turn people away from my game because it lacks the things you suggest it does. Still, in that regard, I must stay true to myself and create something that I love. After all, the reward of true, creative passion comes not from making something pleasing to the pre-conceived notions of others, but through following a course that stirs one's own heart. Okay. So, it's been a long time. 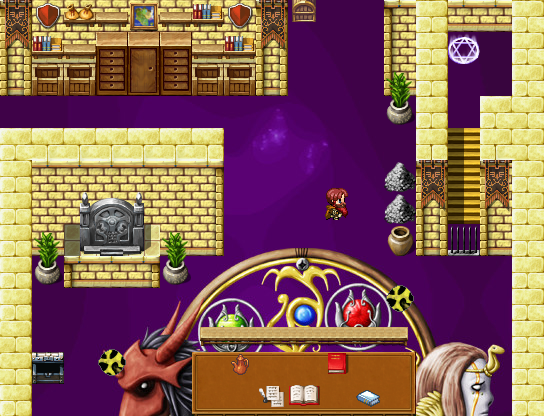 But I've released a new demo to NetherQuest, and I thought you should know about it. The new demo includes lots of changes. Too many to mention here. But, I will say that it went from 20 hours, on the last post, to 60 or more now. It all depends on how fast the player wants to go, and how much he/she wants to explore. The nation of 'Ona' is completed and the nation of 'Illian' has also been created. 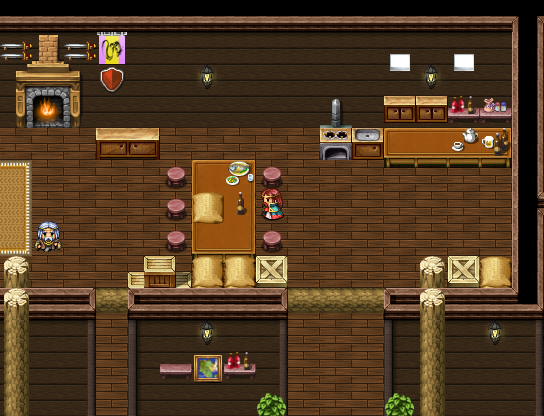 I have posted some new screenshots in the original post and I've re-linked the demo. I hope y'all will keep playing and give me some feedback. Even if it's just to tell how far you got and that sort of thing. I've already begun work on the nation of Nor, which is probably a few months away. NetherQuest has been updated to version 0.82! This will add up to 5-10 hours of gameplay. The new update includes the Nation of Nor, and the city of Cruces. Also, work has been started on the volcano, Mt.Orion. 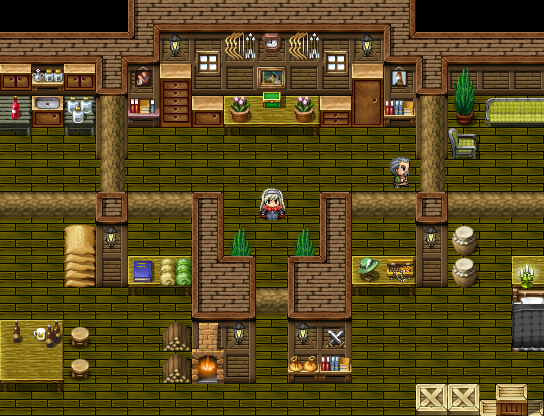 Several new systems, including the Smithing system has been added, (though that system is still in its infancy), and a new gambler's game, 'War', has been added in the city of Cruces. As always, report any bugs. This has been something which people who have played NQ have suggested. 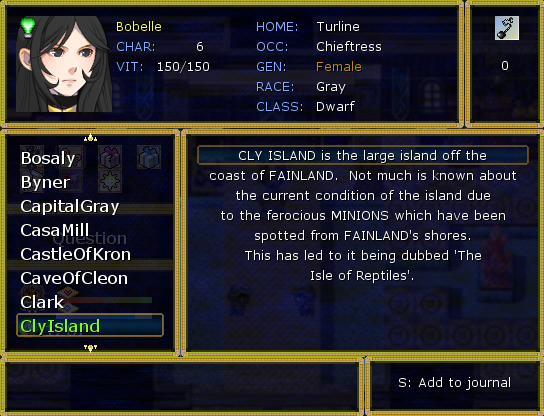 Basically, when creating your party at the onset of the game, an info box, displaying parameter changes of the character based on the highlighted selection appears. This is true with changing race and class. 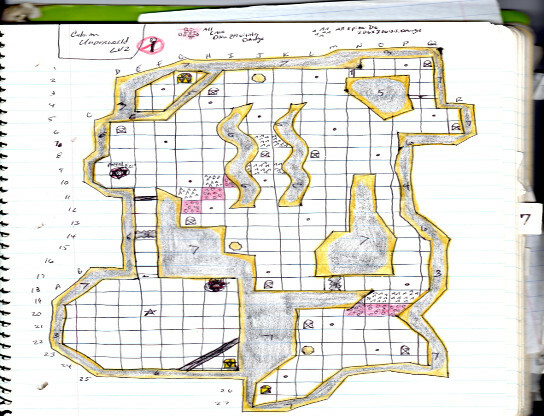 This will improve the player's ability to design and create the party he/she wants. Although this does not alter the calculations of NQ damage, the player is now made aware of bonuses given on each strike they make in combat. 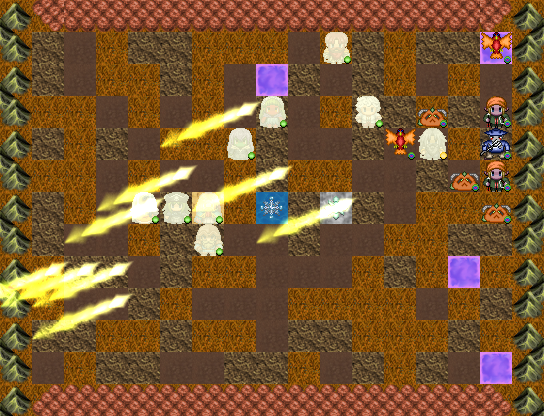 For instance, if a player character uses a fire spell, many factors go into making the full damage of the attack. Attacker's intelligence, Spell's damage, Caster's position on the battlefield, armor class rating of defender, defender's fire resistance, etc. 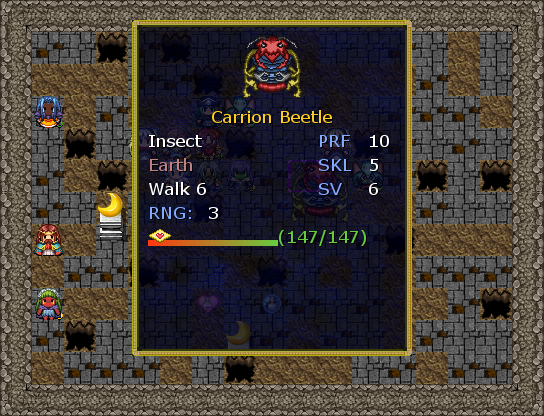 Now, these things are made visible to the player in a window that shows a new bonus whenever it is added to the calculation. Be sure to report bugs, concerns, suggestions. Also, post some screenshots! Ask some questions about a specific part of the game. I'd be glad to respond to any of these things. Most of all, if you're playing, keep at it! The stars are out there!